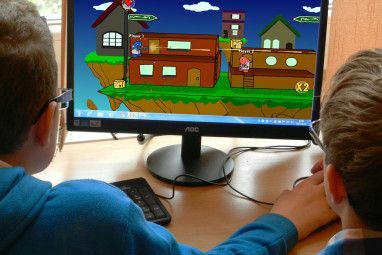 Articles about browser games are nothing new on MakeUseOf. 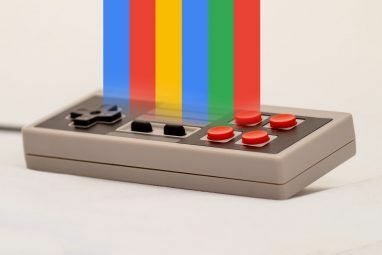 We’ve shown you plenty of our favorite games 5+ HTML5 Games to Play in Your Browser Now 5+ HTML5 Games to Play in Your Browser Now HTML5 is driving Web development forward in an exciting way. 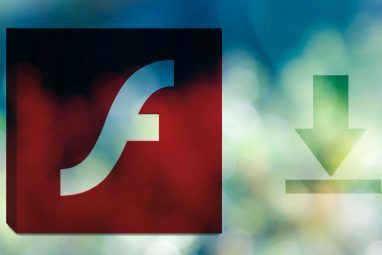 It offers a range of advantages over its predecessors, and could (and really should) kill proprietary plugins such as Adobe Flash and Microsoft Silverlight. HTML5... Read More before. “But I’ve seen it all,” you say. From Newgrounds to Kongregate, you’ve scoured the Web in pursuit of a fresh diversion, and nothing surprises you anymore. Well, buckle up, because it’s about to get weird. 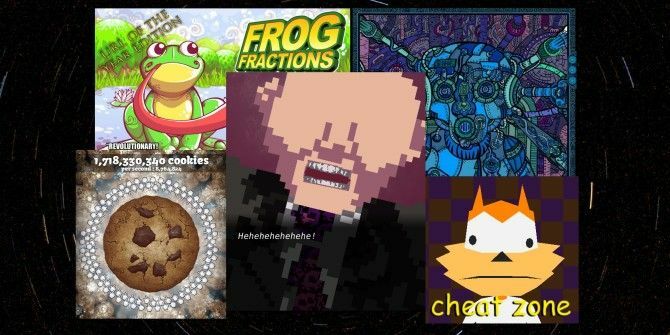 Each of the following browser games is a hot slice of crazy from the far corners of the Internet that you have to see. Kanye West is one of the world’s cockiest hip hop stars. His antics have ranged from swiping a mic straight out of Taylor Swift’s hands at an award show to melting down at Jimmy Kimmel on social media over his depiction in a comedic sketch. It’s definitely hard to imagine what it must be to feel like the center of the universe, and hold the unwavering conviction that absolutely everyone needs to know it. Well imagine no more, friend! With one visit to Life in the West, you can put yourself behind the thumbs of the incomparable Konman as you manage his Twitter account. Wait for inspiration to hit in a blast of manic Japanese pop music, and mash your fingers across the keyboard as quickly as you can to generate an authentic Kanye tweet. Don’t overthink it; you’re awarded Kanye Points (naturally) based on your speed. Spend those points to follow other Twitter accounts you deem worthy of your attention as you await your next shining nugget of wisdom. Humanoid 47’s art style will be your first clue that something is off kilter about what you’re about to play. The whole thing looks like the kind of phantasmagoric nightmare filmmakers show you in cautionary tales about substance abuse. You play the titular Humanoid 47, subject of endless, cruel experimentation at the hands of a mad scientist. Your goal is simple: escape the laboratory and claim your freedom. But your journey to get there will have you harvesting the components of your fellow cyborgs to solve the puzzles that stand in your way. There’s no gore, but there are a few moments that might get a shiver from the squeamish. Set aside a little time at the end to ponder if you’ve become a monster to escape one. Not to be confused with the Playstation title counted among the worst games ever made The 3 Worst Video Games I Have Ever Played [MUO Gaming] The 3 Worst Video Games I Have Ever Played [MUO Gaming] I love video games, as you can probably tell by the fact that I write a weekly video game article here on MakeUseOf. However, just because playing video games is one of my favorite hobbies... Read More , this Bubsy 3D is highly educational. Take this former 3rd party platform gaming mascot on an exciting trip to the Los Angeles County Museum of Art to see the James Turrell Retrospective! Enjoy Bubsy’s commentary as he weaves his way between museum patrons and climbs right into exhibits to get a closer look. By the end of the day, you’ll surely have a better appreciation for light, space, and the human condition. Be thorough collecting those colorful orbs, as they unlock the most thought-provoking displays! Mond Cards is a classic “deal with a devil” work. You sit down to play a game of cards with an eyeless gambler, having heard the promise that you can gain an elusive thing you’ve been seeking if you beat him. What you didn’t know is that, if you lose, he gets to keep you! Judging by the sassy Cthulhu and hypnotic-eyed elephant man accompanying him, that’s almost certainly an unpleasant thing, so you’d better play well. You do know how to play Mond Cards, right? You’d better, because the gambler and his friends have no interest in teaching you, and the stakes don’t get any higher. Don’t give up if you lose the first round though. After all, your opponent is a gambling man. Maybe he’ll give you another shot at freedom if you can convince him it would be amusing enough. Do you long for the iconic style of 80s and 90s educational software? Is learning just not the same if it isn’t wrapped in an exciting adventure? If so, Frog Fractions is the game you’ve been waiting for. When you cross the endless action of snatching bugs from the sky with the critical skill of understanding fractions, the fun never ends! Earn a series of game changing upgrades as you strive to eat bugs, recognize fractions, and drop more tasty fruit into your lake. You’ve never played an educational game this deep, and it’s absolutely free. Don’t assume you know your limits in Frog Fractions. Experiment with everything. After all, the fastest way to learn, is to try! How did this one make the list? There’s nothing strange about hiring warm-hearted grandmas to make delicious cookies for all the world to enjoy. There must be some mistake! This is a wholesome game that promotes the kind of cooperation and generosity that’s far too uncommon in today’s high speed world; a world that doesn’t have nearly enough cookies. So why not increase your output with cookie farms and cookie factories? If the demand keeps rising, you can always chart cutting edge cookie research, like finding the cookie planet or converting gold into cookies. While you’re at it, it doesn’t seem like anyone’s doing anything with all that spare antimatter floating around the universe. Make it into cookies? Bam! You’re a real thinker and a natural entrepreneur. That’s why you’re in charge of the cookies, champ. There is no conceivable drawback to a plan like that. Make it happen! The Internet benefits from being a repository for the collective imagination of the online world. This handful of games just goes to show that when you set enough game developers loose to share the things that go through their heads, you’re bound to get some really entertaining outliers. Are these games the weirdest of the weird, or have you played something that tops them all? Share it in the comments! Oh, I just love cookie clicker. I'm a fan of it too! Great to just leave on in an alternate browser tab and just peek in on an hour later. Classic article. All those games were gold!